A fragrant blend of cinnamon and festive spices to infuse your home at Christmas. 50ml bottle. Contains: Aromatic compounds, oil based. Net wt. 20g WARNING Contents non-edible Keep out of reach of children and animals. 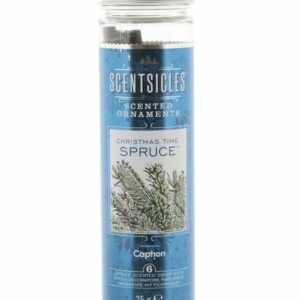 Scentsicles - Christmas Time Spruce Scented Ornaments 25g ScentSicles Scented Ornaments can make any tree smell like a Christmas tree. 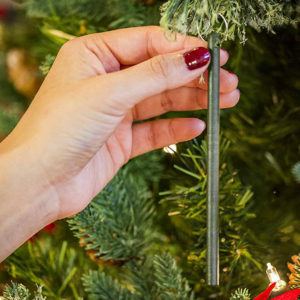 Whether adding scent to your artificial tree or enhancing the scent of your real tree, ScentSicles can create that magical Christmas feeling. Designed to naturally blend in, simply hang or hide in trees, wreaths, garland, and holiday décor. Each bottle comes with six scented ornaments and swirl hooks. ScentSicles last for up to 30 days. ScentSicles are made of all-natural, biodegradable, recyclable paper and infused with pure fragrance. Caution: Avoid contact with other ornaments, tables, floors, finished surfaces, and fabric. Ideal for oil burners. Wide range of potent fragrances to choose from. They are placed in the oil burner reservoir and require no water. Can also be used to generally fragrance a room. Colours may slightly vary. Luxurious soap, handmade in England. 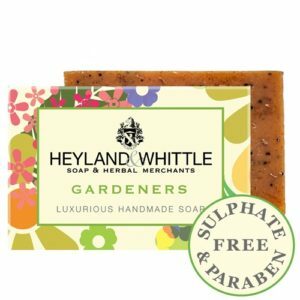 Exfoliating and moisturising - a hearty blend of Oatmeal, Poppy Seeds and Spices to revive hanrdworking hands and clean green fingers. 120g bar. Sulphate and Paraben Free. Luxurious soap, handmade in England. 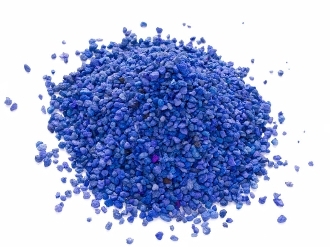 Relaxing and calming - with feel good Lavender Oil for a soothing end of day soak, perfect for sleepy heads. 120g bar. Sulphate and Paraben Free. Cleanse your beard whilst helping to maintain a balance of the natural oils to prevent dry skin. Allow the activated charcoal to draw out dirt from your skin, eliminating blocked pores with visible results. A luxurious blend of olive oil and goats milk delivering a deep cleansing formulation for your hair and scalp. A gentle lather, stimulating feel good, seriously nourishing shampoo bar. Luxurious soap, handmade in England. Seriously indulgent - a luxuriously citrus bland of Goats Milk, Cocoa Butter and essential oils to help soothe and moisturise dry skin types. 120g bar. 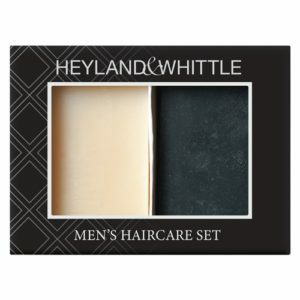 Sulphate and Paraben Free. Luxurious soap, handmade in England. To Fragrance a (teeny tiny!) room, your drawers of delicates, wardrobe, car, or just simply use it! 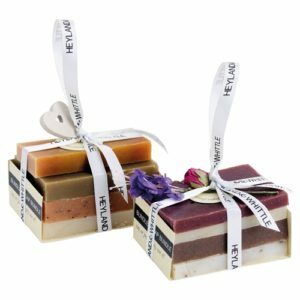 Our fantastic soap bundles contain three or more slices of our classic soap range, every one is different, to fill your home with a unique fragrance. Once you've finished with it, use as soap... after all that's what it is! Sulphate and Paraben Free. Luxurious soap, handmade in England. 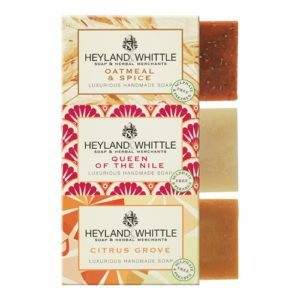 3 x 95g bars Parabens & Sulphates free, Not tested on Animals, Vegetarian & Vegan friendly. Tea tree Handmade Soap x 1 Naturally cleansing and invigorating - Nature's antiseptic is anti-bacterial, anti-fungal and anti-microbial to help clear troubled skin. 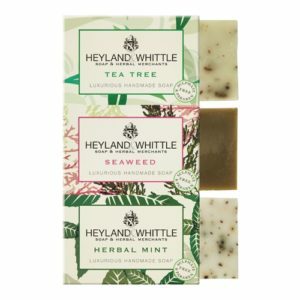 Seaweed Handmade Soap x 1 Soothing and nourishing - with sea green Spirulina, packed with natural vitamins, minerals and amino acids, to gently nourish dry and problem skins. Herbal Mint Handmade Soap x 1 Clean and fresh with Mint and Rosemary essential oils for a vibrant start to the day. Luxurious soap, handmade in England. 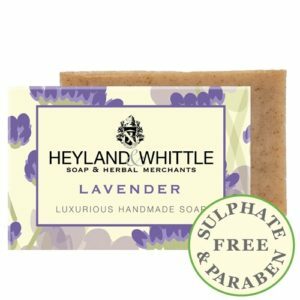 3 x 95g bars Parabens & Sulphates free, Not tested on Animals, Vegetarian & Vegan friendly. Oatmeal & Spice Exfoliating and moisturising - a hearty blend of oatmeal, poppy seeds and spices. 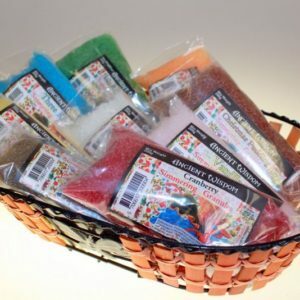 An all over body soap to stimulate and invigorate all skin types. 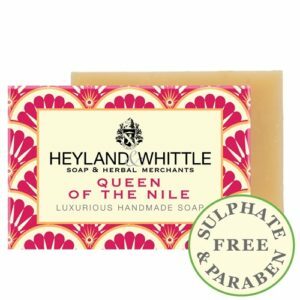 Queen of the Nile Handmade Soap Seriously indulgent - a luxuriously citrus blend of Goats Milk, Cocoa Butter and essential oils to help soothe and moisturise dry skin types. Citrus grove Handmade Soap Refreshingly zingy - Olive, Coconut and Citrus Oils promise an energetic wake-up call. Beneficial for normal to oily skins.